When you first decide to hire senior care services, you might find more resistance from your elderly family member than you expect. If you’re not prepared for that resistance, you might not know how to respond. Some seniors are far more likely to listen to advice that comes from their doctor than from any other source. This is true for all sorts of things, including the idea of having extra help around. Talk to her doctor and see what recommendation you can get from that corner in order to help shift your senior’s thinking a bit. Sit down with your elderly family member and ask her where she could use more help. If you’ve already spotted some areas, such as meal preparation and cooking, where she might benefit from having someone else take over, that can jumpstart the conversation. Be careful not to express your suggestions as anything that is a failure or a sign of weakness for your senior, because that can backfire. For many aging adults, it’s uncomfortable to be a burden or a bother to someone else. But if you need help, that might be something entirely different. Explain to your elderly family member how senior care services can help you specifically. Perhaps there are some errands that they could run for you or there may be respite help that they can provide for you. Let your elderly family member know how this helps you, too. 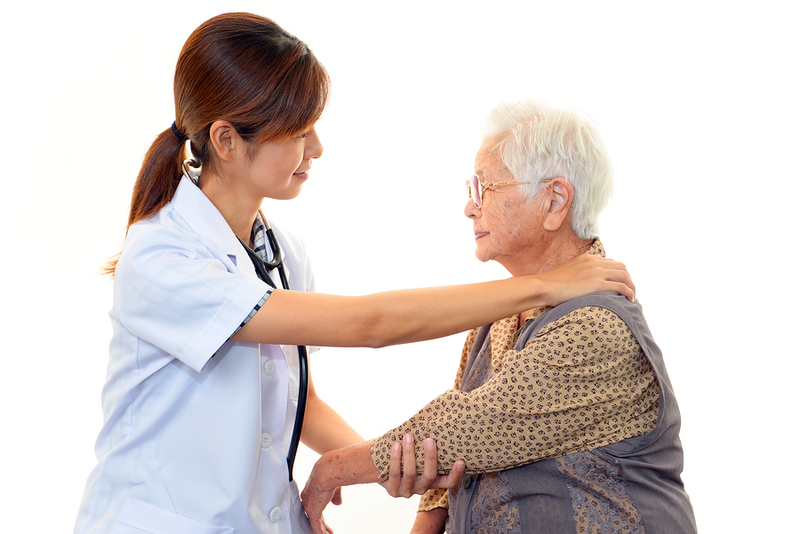 When you do start using elder care services, introduce them slowly. This helps both you and your senior get used to having help around. As you adjust, you’ll start to see new and better ways that home care providers can add to your senior’s life and to your own. Ultimately, your elderly family member is probably really worried about losing some control over her life and her situation. That’s not unusual at all. What might feel unusual for her is if you give her veto power. If she opts to give home care a try and still doesn’t enjoy it or see any purpose behind it, she can opt out of it. This helps her to feel as if you’re listening to her. Your elderly family member might still feel that she doesn’t need help from senior care providers. But if she’s willing to give the idea some more time, she might just find that there are lots of ways that this helps her and you immensely. Excerpt: For some aging adults the idea of accepting help from senior care providers inspires harsh reactions. Can you turn that around? IF YOU OR AN AGING LOVED ONE ARE CONSIDERING SENIOR CARE SERVICES IN MATAWAN, NJ, PLEASE CONTACT THE CARING STAFF AT LARES HOME CARE 888-492-3538 OR 732-566-1112.